Home » Blog » Headaches » What Are Cluster Headaches? Can Anything Help Them? These cluster periods, as the bouts of frequent attacks are known, can last anywhere from weeks to months. 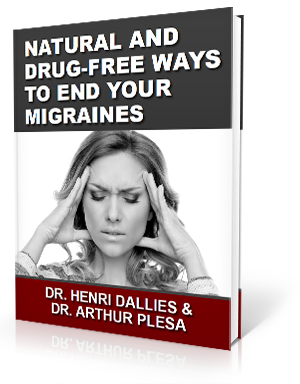 They are then followed by a period of headache-free remission where there is no pain. This remission period can last anywhere from months to many years. Cluster headaches are not life-threatening and, thankfully, are very rare. Unlike people who have migraines and need to lie down in a cool, dark room, those with cluster headaches usually will pace back and forth or sit and rock. Sometimes, the symptoms of migraines do accompany these headaches, such as sensitivity to light and sound, but usually only on one side. A cluster period lasts for about 6 to 12 weeks. Sometimes, they occur seasonally, such as every spring or fall. Therefore, it may be that the starting date and how long each period lasts can remain consistent from period to period. Most people have what is called episodic cluster headaches. These are headaches that happen for a week to a year and are followed by a pain-free remission period lasting as long as 12 months before having another cluster headache. If you are unfortunate enough to suffer from chronic cluster periods, these may last more than a year or you may have pain-free periods that last less than a month. It remains a mystery among the medical community as to why cluster headaches happen. The pattern that cluster headaches follow seems to suggest that there is a problem with the body’s biological clock or hypothalamus. These headaches are not triggered by food, hormonal changes, or stress. However, one thing to be aware of is that after a cluster period begins, drinking any amount of alcohol can bring on a splitting headache. Therefore, most people avoid drinking alcohol during a cluster period. Something else that has been seen to exacerbate symptoms is the use of the medication nitroglycerin, a drug used to care for heart disease. Who Is at Risk to Develop Cluster Headaches? One thing that has been seen to help with these kinds of headaches is upper cervical chiropractic care. This is because headaches and migraines can often be attributed to a misalignment in the bones of the upper cervical spine. The C1 and C2 bones are particularly susceptible to misaligning due to their shape and mobility. If you have had a car accident, a trip and fall, a sports-related injury, or any type of overstretching of the muscles of the neck, you may find yourself suffering from the effects of a misaligned bone. When these bones move out of place, they put undue pressure on the brainstem and cause it to send improper signals to the brain. This can lead to the symptoms of cluster headaches. Here at The Apple Valley Clinic of Chiropractic in Hendersonville, North Carolina, we use a gentle method that encourages the bones of the neck to move back into place without the need to pop or crack the spine or neck. Once corrected, patients report seeing an improvement in their symptoms, and some see their headaches go away entirely.